Placing a loved one in the care of a nursing home facility can be a daunting experience for Boynton Beach families, particularly in light of reports made by the National Center on Elder Abuse (NCEA) in which incidents of nursing home abuse and neglect, despite the best precautions, affect as many as 30% of all nursing home facilities in the United States. Nursing home abuse and neglect can be a traumatizing reality, and it is something no Boynton Beach family should have to endure. Signs may often be difficult to recognize, but there are steps loved ones can take to mitigate abuse and neglect from taking place. Nursing home personnel may dispute personal injury claims by attributing physical or mental deterioration to the aging process or preexisting health conditions; however, most cases of abuse and neglect are the product of inadequate training, insufficient staffing, negligent hiring, or other cost containment measures, which are grounds for a nursing home abuse and neglect claim. Although abuse might constitute the most egregious form of maltreatment, serious neglect can ultimately be life threatening. When a loved one moves into a nursing home, the facility is obligated to meet his/her basic medical and social needs; however, residents may be limited in their ability to communicate signs of abuse and neglect (sometimes out of fear of retribution). If you detect any of these signs, take your loved one to a safe environment to inquire further and seek immediate legal counsel. Record detailed accounts and all relevant information associated with the incident. At the Shiner Law Group, our nursing home abuse and neglect attorneys have a demonstrated record of recovering significant financial compensation for nursing home residents and their families who have been abused or suffered malpractice in skilled nursing facilities. With over 15 years’ experience serving the Boynton Beach community, we strive to assist victims with their personal injury claims and aim to prevent nursing homes from engaging in substandard care. Nursing home abuse assumes many forms and can be difficult to litigate, but our team of attorneys is nevertheless dedicated to protecting vulnerable seniors and holding those who inflict physical and emotional harm responsible. An increase in nursing home lawsuits in recent years has prompted facilities to anticipate—and prepare for—litigation, meaning facilities may have established practices to mitigate the risk of liability (falsifying records, overstaffing during state inspections, etc.). Successfully executing a nursing home abuse and neglect claim involves complex legal maneuvering that requires an experienced personal injury attorney to represent the best interests of an abused or neglected nursing home resident. A nursing home and/or its employees can be held liable for any damages resulting from negligence, including, but not limited to, medical bills, disability, pain and suffering, or disfigurement. At the Shiner Law Group, we are committed to ensuring your rights—and your loved one’s—are protected, and we are prepared to bring even the largest nursing home chains to court. Have you or your loved one suffered abuse or neglect in a nursing home? Call us at (561) 777-7700 or contact us online for a free case review. 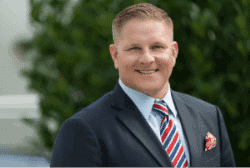 The Shiner Law Group represents personal injury and wrongful death victims in Boca Raton, West Palm Beach, Boynton Beach, Delray Beach, Lake Worth, Palm Beach County, and the surrounding cities and counties.